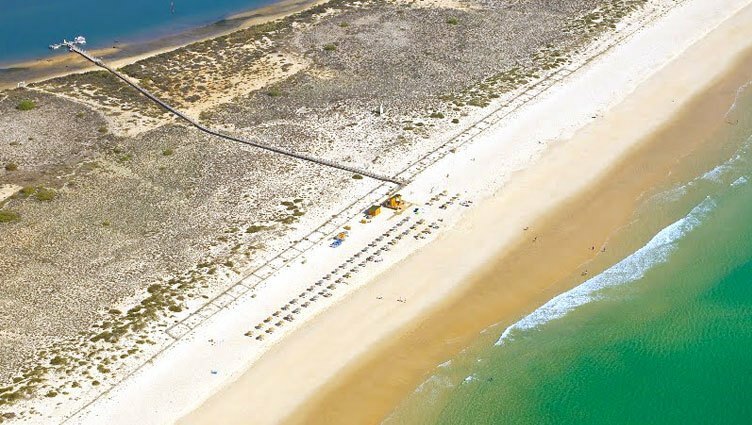 To the East of Praia do Barril, Tavira Island narrows, resulting in a strip of sand with around 50 metres wide, the so-called Praia da Terra Estreita (the Narrow Land Beach).This beach is also known as Praia de Santa Luzia, as it is from this picturesque fishing village from where the boats set off to cross to the island. The boat ride over the Ria Formosa shows you the pots used for capturing octopus and the many local fishing boats, as well as the typical marshland flora and fauna. 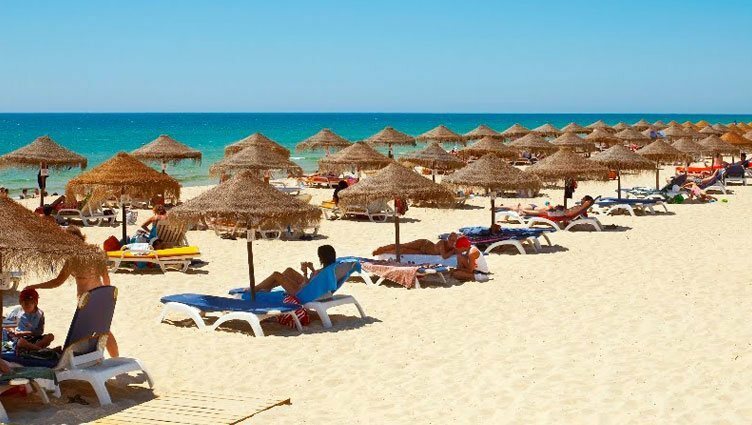 The beach here is a large one and is more deserted than at the neighbouring beaches of Barril Beach or Tavira Island, providing complete peace and quiet and isolation. On this beach, you can admire the eye-catching flowers of the sea daffodils and enjoy a swim in the warm seawater, and in the summer it is common to see great profusions of green seaweed next to the island, giving you the strange sensation that you are swimming in a warm soup. 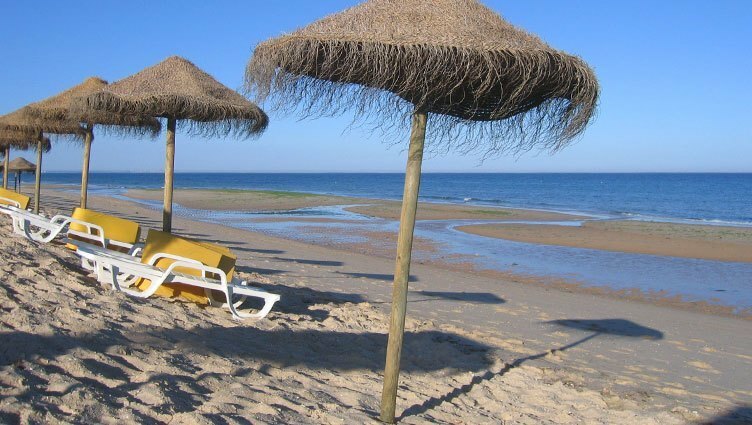 Back in Santa Luzia, the beautiful avenue along the waterfront is filled with restaurants and bars where you can enjoy some of the best shellfish picked in the Ria, as well as some typical dishes such as the tuna salad known as “estopeta de atum”. In order to help preserve this area, you should cross over the sand dunes using the raised wooden footpaths provided. 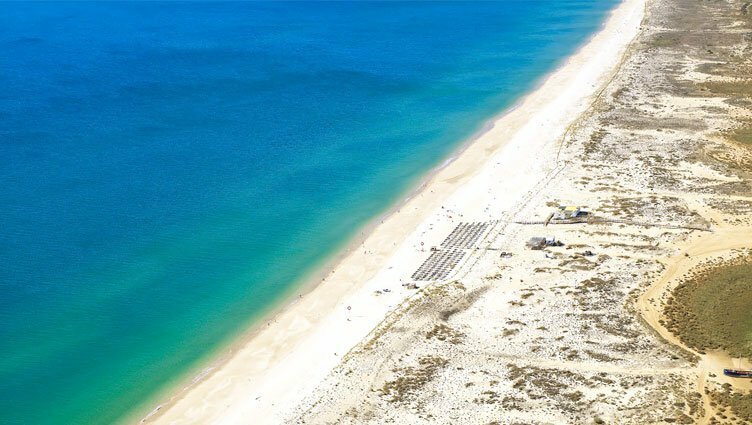 There are boats to the beach from Santa Luzia, signposted on the EN 125 and roughly three kilometres from the car park at Praia do Barril. The parking area is fairly large and organised. The beach has basic support facilities (restaurant and toilets) and is supervised during the bathing season.